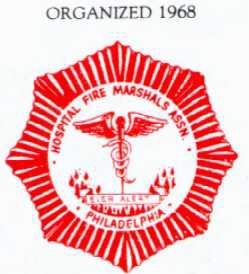 It began in 1968 when nine hospital fire marshals from the City of Philadelphia joined together and formed what is now known as The Hospital Fire Marshals' Association. From that very humble beginning, the HFMA has grown into one of the largest organizations of its kind in the United States. The organization became incorporated in 1986 and in 1990 added institutions of higher education to its agenda and extended the fire safety program to include general safety and security issues in all healthcare related organizations as well as for the educational facilities. A totally volunteer organization with a membership that has grown to more than 400 individuals who are interested in preserving the safety and security of everyone walking through the doors of a healthcare or educational facility. Many of the current members are charged with the responsibility for safety and security management in a wide variety of organizations. Presently, twenty-eight (28) states, the District of Columbia, and Saudi Arabia have at least one facility represented in the organization. The membership is comprised of disciplines encompassing all staff levels in healthcare and educational facilities; examples include, Facility Managers, Nursing, Fire Marshals, Safety Officers, Risk Managers, Administrators, Security, Industrial Hygienists, Environmental, Insurance, Educators and the Fire Service. President's Column: "Fire Watch duties need to be taken seriously"
Continuous Improvement Column: "The Three C's and P of Personal Leadership"
Environment Column: "Waste Not, Want Not"
Safety Column: "What is Safety?" Educational monthly meetings, seminars, forums, and an informative newsletter monthly provide the member an opportunity to become better prepared for a visit from all regulatory and accreditation agencies such as Joint Commission, CMS, OSHA, NFPA, Local Fire Departments, Insurance Companies and more.